With Dynamic SQL Generator, you can easily convert static SQL Server SQL code to dynamic and vice versa. Along with the main functionality of the tool, there is a rich set of additional features that make it very easy to write and convert your T-SQL scripts. 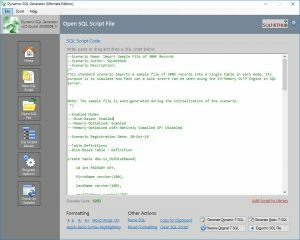 Easily convert static SQL Server SQL scripts to dynamic. Easily convert dynamic SQL scripts back to static. Parsing and code formatting functionality is also available. 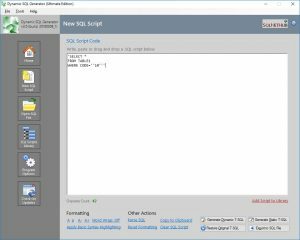 You can export the SQL scripts to SQL files. You can now modify existing SQL files and convert their content to dynamic SQL code or vice versa. 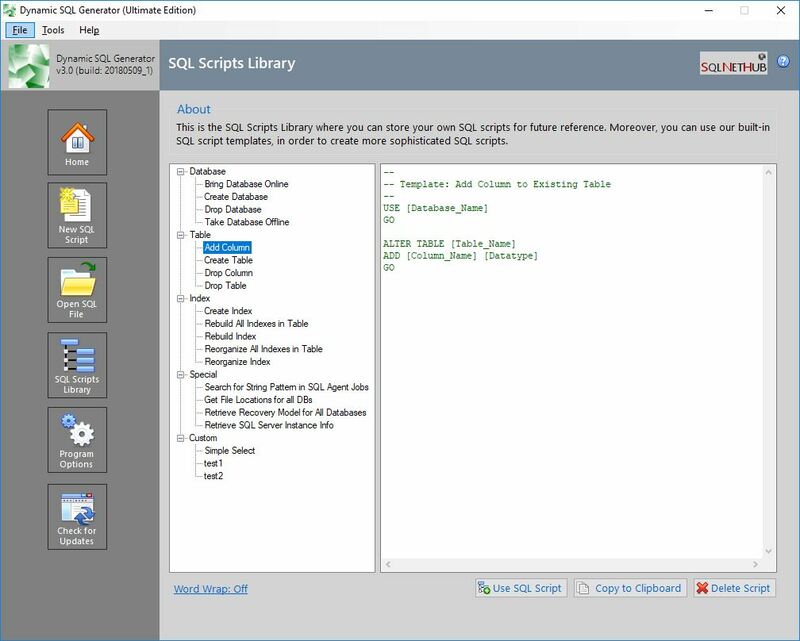 With the SQL Scripts library, you can use templates of commonly used SQL scripts in order to help you create more sophisticated SQL Server scripts faster and easier. Also you can save in the library your own SQL Scripts. 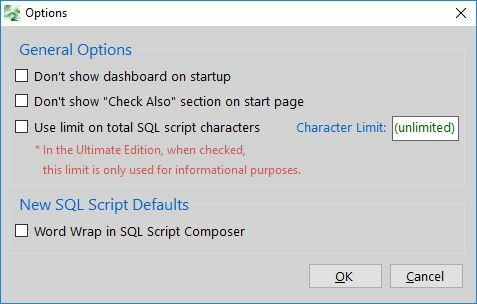 * Only in the Ultimate Edition of the tool you can save your own SQL scripts in the SQL Scripts Library. ** Available only in the Ultimate Edition of the tool. Why we Built Dynamic SQL Generator and How Can it Help You? 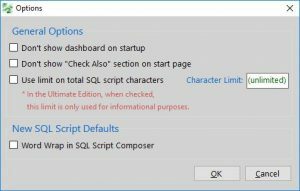 When you develop SQL scripts, there are many times where you need to encapsulate existing T-SQL code within your code. For example you may want to build a parametric SQL statement that will be executed dynamically. We created Dynamic SQL Generator for this exact purpose. 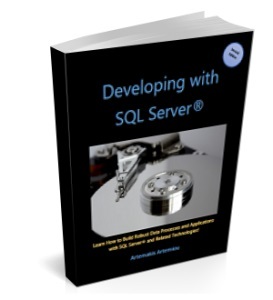 By using the tool you can convert static T-SQL code to dynamic and vice versa. Furthermore, the tool provides a rich set of code formatting options and a SQL scripts library. 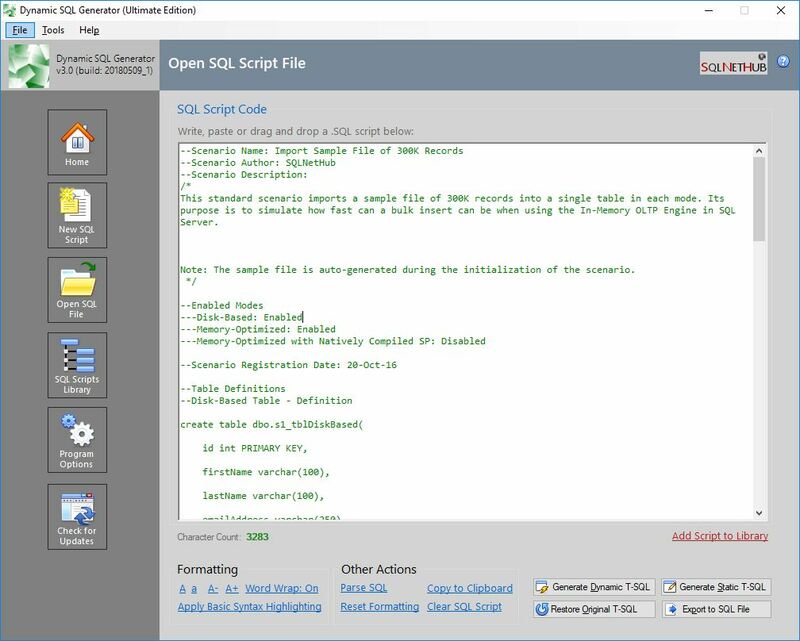 The free 30-Day Trial Version of Dynamic SQL Generator, allows you to test the most out of the tool’s functionality but with some functionality restrictions and time limitations. For example, 30 days after first use, the program will expire and all functionality will lock, unless you purchase and apply a Ultimate Edition license. 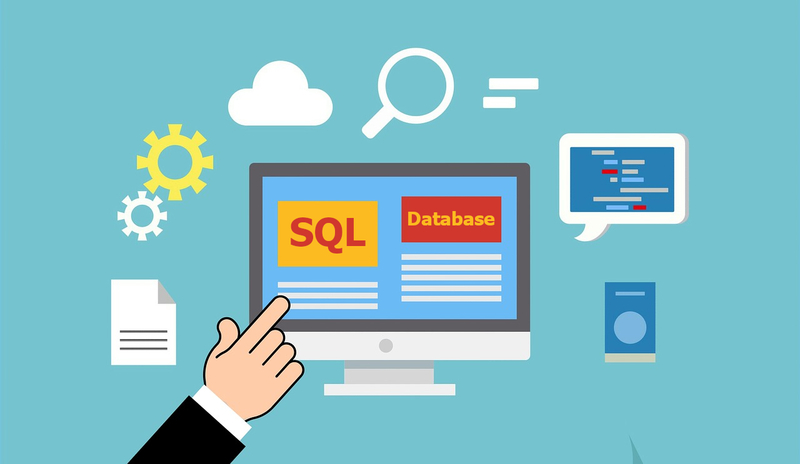 However, the set of available features in the free 30-Day Trial Version| of Dynamic SQL Generator, are enough to help you see its value and usefulness. Then, you might consider purchasing the Ultimate Edition and get access to the full power of Dynamic SQL Generator with no functionality and time limitations. * Dynamic SQL Generator, up to version 2.0 was released under the brand name “SQLArtBits”. 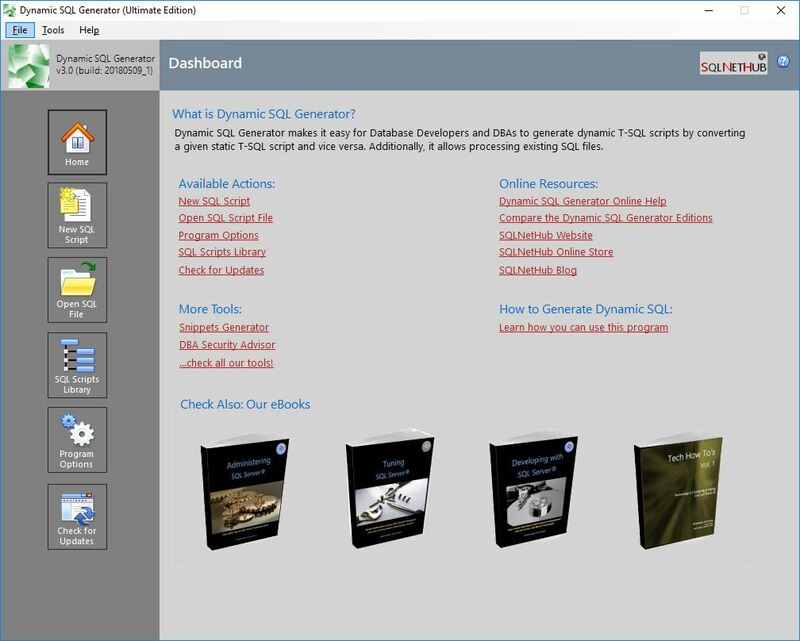 Purchase the Ultimate Edition of Dynamic SQL Generator and unlock all features. A single purchased license for Dynamic SQL Generator’s Ultimate Edition allows up to two (2) activations for different hardware configurations but only on the same computer. To this end, if you make extensive changes to your computer’s hardware, you can generate a new activation code and run the activation process again. This can only take place once. This means that the after you make use of the second activation (for the same computer), you will not be provided with additional free activations in case of further hardware changes to your computer. In such case, you will need to purchase a new license for the Ultimate Edition and perform a new activation (read the EULA for more info). 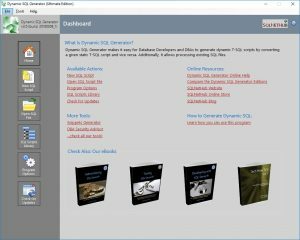 During the activation process, and after you enter the serial key that you were provided during your purchase of the Ultimate Edition license of Dynamic SQL Generator, you need to retrieve and submit to SQLNetHub an “Activation Code”. The activation code is a unique hardware hash (a hash is a numeric value derived through a mathematical formula and based upon some other, original value) that is created by running 2 different pieces of information from the computer’s hardware components (BIOS id, Mainboard id) through a one-way mathematical transformation. This means that the resultant hash value cannot be backwards calculated to determine the original values and it ensures complete anonymity. This process was developed in order to maintain the user’s privacy and it is only used to deter piracy. Last but not least you can find here the End-User License Agreement for Dynamic SQL Generator.